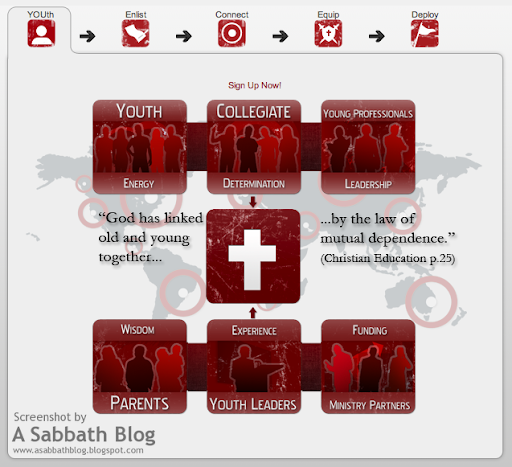 Army of Youth, a Christian social networking site geared toward Seventh-day Adventists is now up and running. Last week, we wrote about how the website was taken down for upgrades. We speculated that major upgrades were taking place when we were able to login in to the site through one of its other webpages. As it turns out, we were right! When you log in to the site, expect to see the changes we had written about such as new profile layouts, and a new "Command Center." Also expect to see Churches, Entities, and Youth Events with their own profiles. As we mentioned before, you'll notice the website's rebranding from "Army of Youth (AOY)" to "Army of Youth Ministires (AYM)." Although the website is still a little buggy and some features aren't yet working, go explore the updated website for yourself at armyofyouth.org. Be sure to come back and vote in our poll (below). Read: Is Army of Youth 3.0 on its way? Is Army of Youth 3.0 on its way?